Fall is finally here and it seems like we are busier than ever. Hubby and I both work full-time jobs, run a home business and then there are family obligations that keep us busier than ever. After a long day at work, the last thing that I want to do is spend 2 hours in the kitchen preparing dinner for my family. Nope, during those busy weeknights...I have better things to do! When you open up our freezer you will always find a wide variety of Gorton's seafood. We have trust Gorton's for years to help make dinnertime a quick and easy process. We love fish & seafood and incorporate it into our meal plan at least twice a week. Some of our Gorton's favorites include: Fish Sticks, Crunchy Breaded Fish Fillets, Crispy Battered Fish Fillets, Original Batter Tenders, Beer Battered Tenders, Potato Crunch Fish Fillets, Lemon Herb Fish Fillets and the new Fish Sandwich Fillets. On top of all of that fish...you will find a few frozen packages of Gorton's Grilled Garlic Shrimp too! Recently I was sent some coupons to go out and pick up some of the Gorton's products. For this review we decided to try some of our favorite products using Gorton's recipes. You can find a slew of easy-to-prepare recipes ready for printing right on the Gorton's site. For our review we picked up Gorton's Signature Grilled Tilapia and a package of Gorton's Beer Batter Fillets. On one night we used the Grilled Tilapia to make Gorton's Authentic Fish Tacos and wow...they were delicious! We usually make tacos using ground beef but we are now converts...these fish tacos were easy-to-prepare and tasted delicious! Including prep time, I had dinner on the table in less than 30 minutes flat! On another night we used the Beer Batter Fillets and made the Gorton's Honey Mustard Beer Batter Fillet Sandwiches recipe. We usually don't make fish sandwiches but decided to try them since we love honey mustard sauce. From start to fish...I had dinner on the table in less than 30 minutes and once dinner was over the family told me that I had to make them again and make them again soon! They gave these sandwiches a big 2-thumbs! 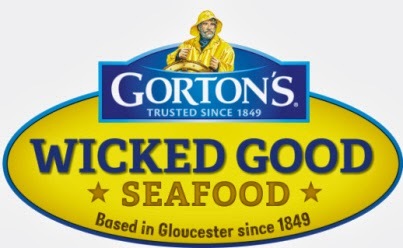 We love Gorton's fish & seafood products because they are delicious and the added bonus with that is that they are convenient to use! All of them are used from their frozen state (nothing to thaw) and in most cases you can have dinner on the table in less than 30 minutes. Great for busy families, weeknight dinners or for those who simply don't like to cook! Head on over to Gorton's and take a look at all of the delicious products. While you are there scope out their recipe section where you are sure to find a few things that you will want to make for your family. Hint: You can download and print out a Gorton's money-saving coupon while you are there! Fish stick tacos sound great! I think my boys would enjoy the Fish Stick Tacos. Mmmm....I want to make some of those fish tacos....yum. I am following on GFC under wen budro. I'd like to try the fish sandwich BLT. I would like to make fish stick tacos. Thanks! I would like to try the Honey Mustard Beer Batter Filet sandwich for lunch. Follow you on GFC as sflickinger. entered old el paso giveaway. I'd love to make the Salmon Frittata! I also entered the Novica G/C giveaway. I'd love to try the Grilled Fillet Jambalaya recipe. I entered the Sonic giveaway at TCC. Fish Sandwich BLT looks delicious! I entered the ZestAvenue.com giveaway. I entered Purex UltraPacks plus Oxi giveaway. I entered GeoSafari Jr. Animal Eye Viewers Set giveaway. I want to try the Fish Sandwich BLT-two of our house favorites!! I like the fiesta fish stick wraps. I would like to try their Beer Bettered Fish. I'd make the Skillet Crisp Shrimp Taco recipe from their site. The Fish Sandwich BLT sounds like it would be good. Entered the Old El Paso giveaway. I would like to try making the Quick Gluten Free Seafood Soup. I entered to Old El Paso giveaway too.